Speaking shortly after Mr Medvedev, Jens Stoltenberg, Nato secretary-general, accused Russia of “destabilising the European security order” and said the Kremlin was using its nuclear arsenal to bully neighbours in a way that would not have been countenanced even during the cold war. 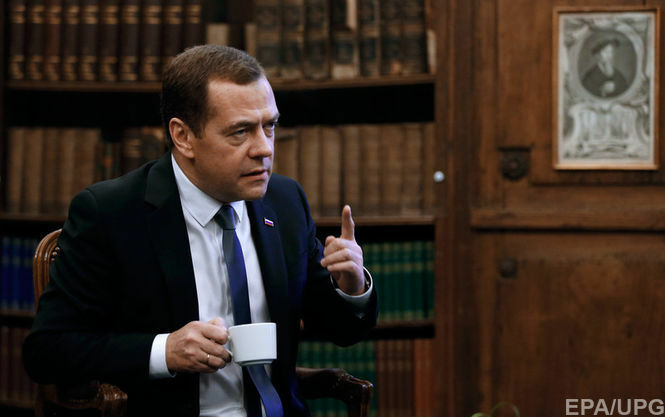 The world had entered a “new cold war,” Russian prime minister Dmitry Medvedev said on Saturday, as he held out an olive branch to western powers, urging conciliation. “Sometimes I think, are we in 2016 or 1962?” Mr Medvedev asked in a speech that reeled off the long list of familiar Russian grievances — from Nato expansion to western regime change projects — and also included some of the firmest calls for rapprochement with Europe and the US since Moscow’s annexation of Crimea two years ago. Many western diplomats and politicians gathered in Munich this weekend for an annual security conference of world leaders nevertheless remain deeply wary of Russia. “Russia’s rhetoric, posture and exercises of its nuclear forces are aimed at intimidating its neighbours, undermining trust and stability in Europe,” Mr Stoltenberg said. A bone of contention remains Russia’s military activities in Syria, where its air force has instigated a massive bombing campaign to support the regime of President Bashar al-Assad against US-backed moderate rebels — despite a ceasefire agreement brokered by Moscow and Washington in the early hours of Friday morning. The deal, which promises a temporary cessation of hostilities in Syria by the end of the coming week, is regarded by many as likely to fail at Russian hands. Russia has shown no sign yet of de-escalating its aerial activities, although the deal contains a provision for their immediate rollback in the lead-up to a full cessation of fighting by Friday. Some diplomats point to a more accommodating message in Mr Medvedev’s speech, and in the Syria agreement, from the Kremlin, however. “Our intensive dialogue on the future of Euro-Atlantic security, on global stability, on regional threats, is particularly needed now. I find it abnormal that it almost completely stopped in many areas,” Mr Medvedev said. “Mechanisms have been suspended that enabled the timely elimination of mutual concerns. Moreover, we have lost the culture of mutual arms control, though this served for a long time as the foundation for building trust. “Almost every day we are accused of making new horrible threats either against Nato as a whole, against Europe or against the US or other countries”. The Russian prime minister added that Europe had made a “belt of exclusion” on its borders, rather than a “belt of friends”. Speaking on Friday, Mr Stoltenberg confirmed that he had taken part in discussions on the sidelines of the conference with Sergei Lavrov, Russian foreign minister, over the reopening of the Nato-Russia council. The bilateral body was set up after the cold war to facilitate dialogue between the Atlantic alliance and its former adversary. “The focus of our meeting was on the relationship between Nato and Russia, and we also addressed the issue of the convening the Nato-Russia council. This has never been suspended but it has been more than a year since the last meeting,” Mr Stoltenberg said. There are still stumbling blocks to even a tentative dialogue. Nato, said Mr Stoltenberg, would insist on Ukrainian sovereignty being on the agenda for any meeting. Russia is likely to raise the issue of its rights to deploy and exercise its military — and missile defence.